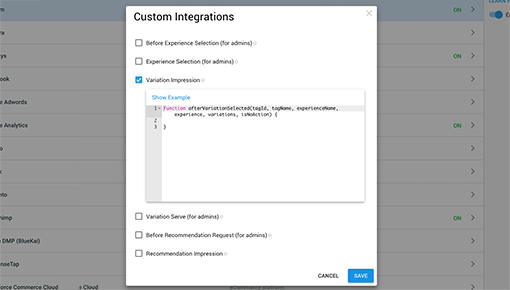 Dynamic Yield’s integration with Google Analytics provides a seamless way to share Dynamic Yield personalization data with your existing Google Analytics account. WIth this integration, you can analyze your Dynamic Yield campaigns and track visitor events directly in your Google Analytics dashboard in real time. Here, you can analyze campaign performance and use exclusive Dynamic Yield data to filter and slice your Google Analytics reports. 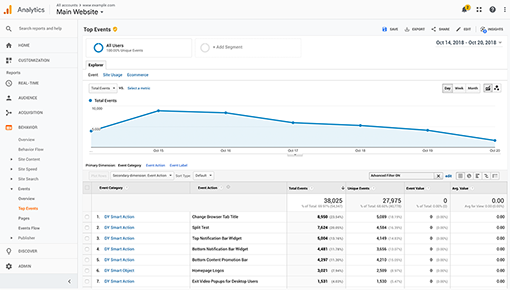 Access, analyze, and use information relevant to your users that were served in an Experience variation to create dedicated campaign reports within your Google Analytics account.